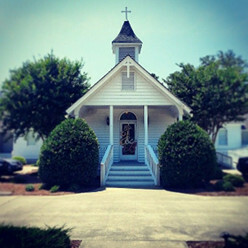 We are the only church in Corolla and have had weddings of couples from 32 states and 9 foreign countries. We have performed weddings in the chapel, at the base of the lighthouse, on the lawns at the Whalehead Club, in rental homes and on the beach. The chapel is always held in reserve for outside weddings should there be inclement weather. One 2 hour counseling session is required of all couples being married by us. Couples can rent the chapel and bring a clergy from home, but the Chapel reserves the right to turn down clergy with questionable credentials.